There will be fireworks when Sheffield United and Middlesbrough face each other at Bramall Lane in what could prove to be the crucial game for both sides in their battle for promotion. 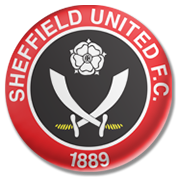 Sheffield United have been impressive in the second half of the season, but they need to keep on improving their game if they are to secure automatic promotion to the English elite division. The Boro, on the other hand, are undefeated in previous six league fixtures and they head into Wednesday’s football game following a 1-1 draw with Leeds United. Sheffield United and Middlesbrough seem to be evenly matched at the moment and we predict that they are going to share the spoils in the midweek fixture. It has to be noted that under 2.5 goals have been netted in four of the Boro’s last five games in all competitions.